Plumbing FAQs | Butler Plumbing Heating & Gasfitting Ltd.
A plumbing or gas permit is required when adding, installing or altering plumbing fixtures and/or gas equipment. You do not require a permit to replace a plumbing fixture or maintain an existing system (which remains in the same location). Only licensed and bonded plumbers can pull permits. Do you charge flat rate or by the hour? With the exception of Hot water tanks, our service work is done by the hour. Our staff is well trained and supported, which gives you the most bang for your buck. Flat rate service companies don’t care about repeat business. 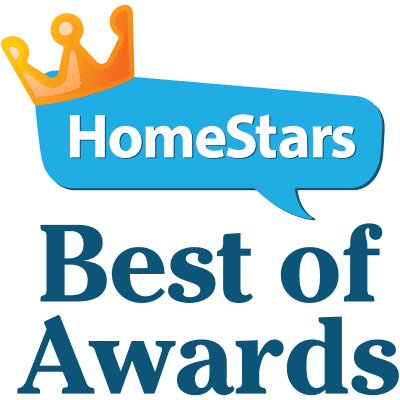 We treat you fair and hope you refer us to friends and family. Your larger jobs will require a written quote, agreed upon by yourself and us. Any service work to existing plumbing is guaranteed for 30 days. Renovations and new construction for one year. Materials supplied are covered under various manufacturer warranties. Yes, we provide this service to our existing customers. For after hours service, over time rates apply. Is it true water flushes clockwise down the toilet in the Southern hemisphere, while in the Northern Hemisphere it flushes counter clockwise, due to the Coriolis Effect. It is false. While it would be an interesting science fact, unfortunately it is not true. The direction of your toilet isn’t determined by where you are on this earth but rather the direction that the rim jets are pointing. Two plumbers were waiting in line for admission to the "Oiler game". One of them was the father of the other's son. How could this be possible? $32,000,000. That’s right! A toilet that is solid gold and anyone can use it. That is, if you don’t mind waiting in line for three hours. The toilet is at Hang Fu¬ng Gold Technology Group in Hong Kong. What is the origination of the “loo”? Back in the day, before the wonderful invention of plumbing. Chamber pots were used throughout Europe in replacement of a toilet. To get rid of it, it was tossed out the window and as a courtesy warning to anyone down below, anyone who spoke French would shout “Gardez l’eau” which stands for “Watch out for the water. 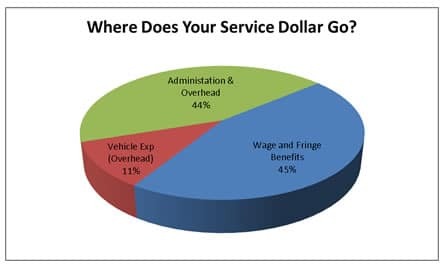 Where does your service dollar go? A. The hourly rate is basically divided into three parts. Approximately eleven percent vehicle expenses such as fuel, insurance, and repairs. The plumbers wage and benefits account for forty five percent of the cost. And lastly the administration and overhead including, taxes, utilities, office staff, insurance, phones, advertising, and training. We strive to maintain competitive rates while providing unmatched service.